Q. How do I find evidence based practice articles? You can find evidence based practice articles by searching in LCCC Library's research databases. Use the link below to get to our Research Databases for Health. NOTE: You must have an updated LCCC Student ID/Library card in order to search these databases from off campus. 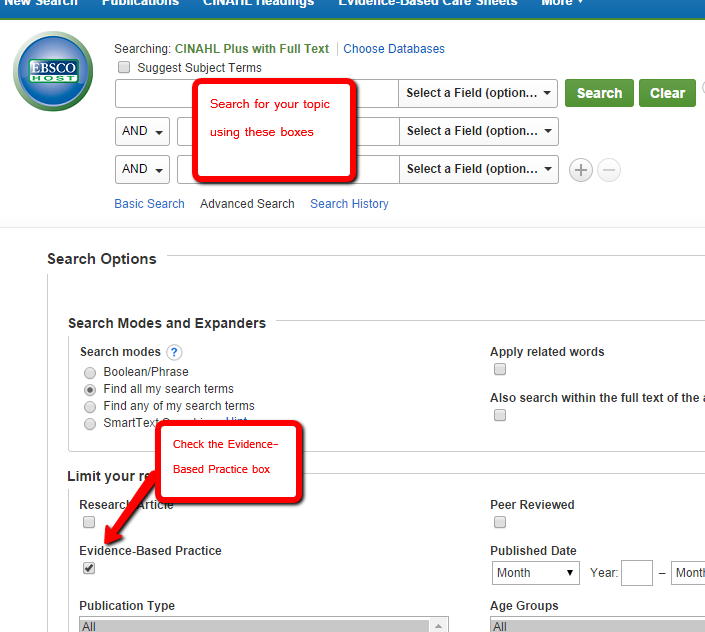 If you are using a database other than CINAHL, search for "Evidence Based Practice" (yes, you should include the quotation marks) with the topic you are looking for, combined with the word AND.